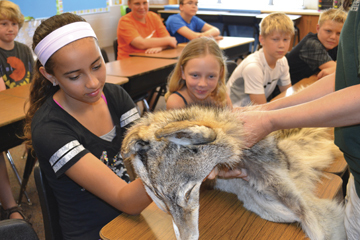 Programs cover wolf biology, wolf behavior, physical and social adaptations, and more! 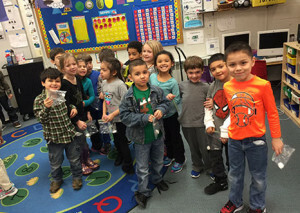 Kindergarten students at Adams Spanish Immersion School in St. Paul, find their “pack members” during a scent activity. FREE programs for ALL Minnesota school classrooms (grades 2-12), summer youth programs in public parks, visitors to state parks, public libraries and nature centers! Outreach educators are always busy throughout Minnesota holding programs. 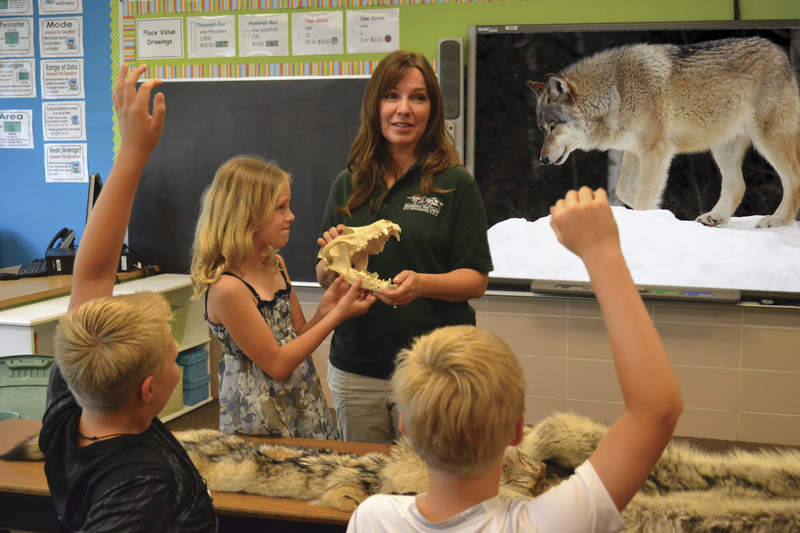 These engaging and unbiased programs will help students and their families better understand the complicated issues surrounding wolves. Subjects covered include wolf biology, behavior, predator/prey relationships, mythology and fear of wolves, challenges wildlife face and the importance of wildland habitat. For more information or to schedule your FREE program, contact International Wolf Center Outreach Educator Misi Stine call 763-560-7374 ext. 234 or complete the form below.